It's no secret that Avengers: Age of Ultron is going to be one of the biggest box office hits of 2015. As if we needed further convincing to purchase our theater ticket, thanks to the Marvel/Sony deal heard round the world, the promise of Spider-Man showing up at some point throughout the film has filmgoers buzzing across the internet. Thanks to this little Marvel mashup trailer we now can get a taste of what it may look like if the web-slinger indeed does end up appearing alongside the Avengers. 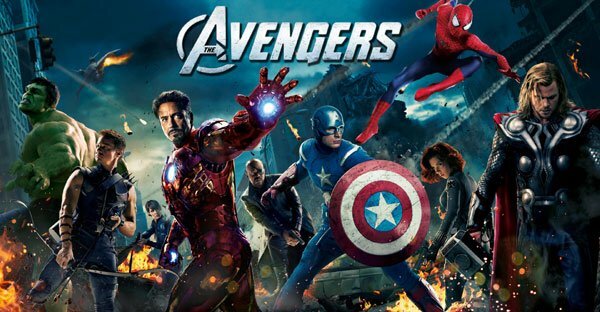 Whether you like it or not, The Avengers Featuring Spider-Man was a blast to watch. The integration of Spidey was almost flawless as far as its continuity, which we all can appreciate. From the moment he pops on screen, saying "I just did 80% of your job and that's how you repay me?" during their battle with the Chitauri and the Leviathans, it almost seems like he's always been there. Although it's these exact antics displayed by Andrew Garfield's Spider-Man that has brought fans to the tipping point with the Peter Parker character, it doesn't make the above clip any less awesome. Any fan of Marvel can appreciate what the folks at Screen Crush have done above. I think we can all agree there's no way Age of Ultron could work Spidey in the way we see him in the above mock trailer. Whether that's viewed as good or bad, the film is just too far along in post and nearing its release date for filmmaker's to begin working in a whole new character or side story thread. But that doesn't entirely rule out the possibility of Spider-Man's inclusion in the film. First off, we have to assume that talks of the Marvel/Sony deal have been ongoing for sometime now. While it may not at all be the case, it's not completely implausible to think Marvel may have incorporated Spidey into Age of Ultron to some capacity just incase the deal did get struck, prior to the film's release. Even if they didn't foresee it prior to production, working the character into the movie in a minor way wouldn't be impossible. The fact that the wall-crawler hasn't yet been re-cast also shouldn't present too much difficulty, since he has the benefit of wearing a mask. I wouldn't be opposed to his showing up in Avengers: Age of Ultron. I'd actually be all for it. In my opinion it's not about whether or not he should show up, it's more about whether or not Marvel can execute it without it looking too CGI, too rushed or too forced. With that being said, I think the best option is to avoid a scenario like the above portrayal (as cool as it was) of the character joining the big showdown and simply include him in the post-credit scenes. Something subtle like board room discussions with Tony Stark and the crew ending with a shot of Spider-Man stating his involvement would be perfect. To me, this is a no-brainer and a sure-fire way to build EVEN MORE anticipation for 2016's Captain America: Civil War. Regardless of what transpires, we're very excited for Spider-Man's homecoming and have complete faith that whichever direction Marvel takes, it will certainly be a huge improvement over the last few Spidey films. Marvel's Avengers: Age of Ultron, directed by Joss Whedon, hits theaters May 1, 2015.